“unquenchable thirst for power, influence and resources”. 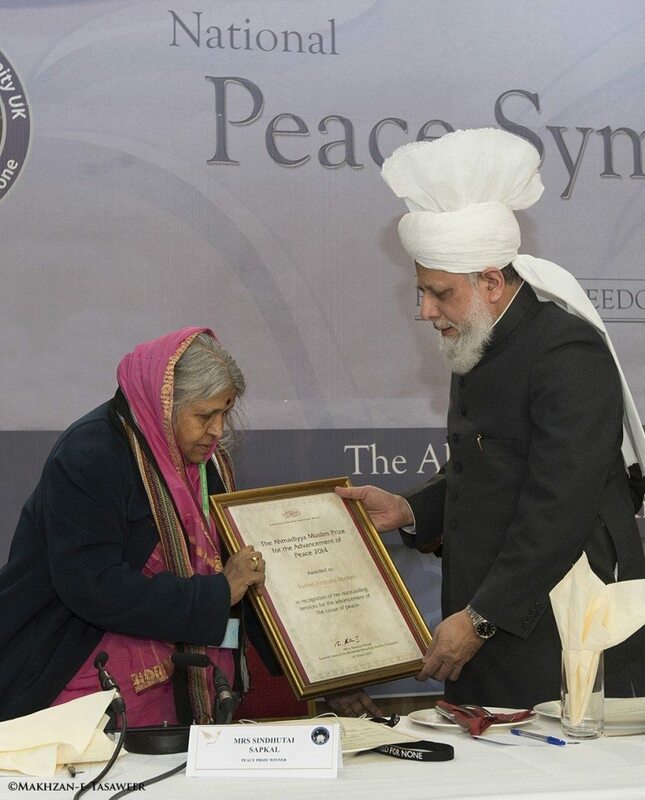 During the event, His Holiness also presented Mrs Sindhutai Sapkal, renowned as a ‘mother of orphans’ with the Ahmadiyya Muslim Prize for the Advancement of Peace in recognition of her outstanding efforts to personally alleviate the suffering of more than 1400 orphaned children and providing them with food, shelter and education. “a note of cautious optimism”. His Holiness cited a February 2015 UN-Security Council Resolution targeting the funding of terrorist groups and said that if properly implemented it could soon lead to the downfall of ISIS. “horrifying and completely against the teachings of Islam”. His Holiness specifically praised comments made by President Obama at the National Prayer Breakfast in Washington regarding terrorism and comments made by Pope Francis after the Paris attacks in which he said that people should not provoke others by insulting their faith or beliefs. 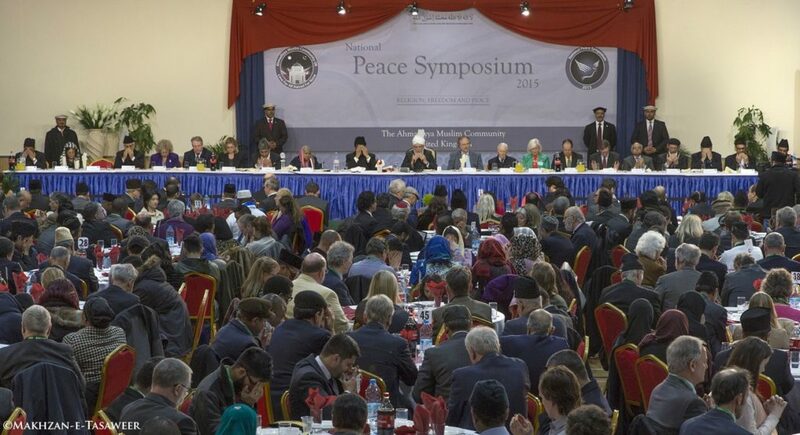 Hazrat Mirza Masroor Ahmad spoke of the widespread and increasing conflict prevalent in the world. He cited not only the disorder in certain Muslim countries but also reflected on the increasing division in other parts of the world. 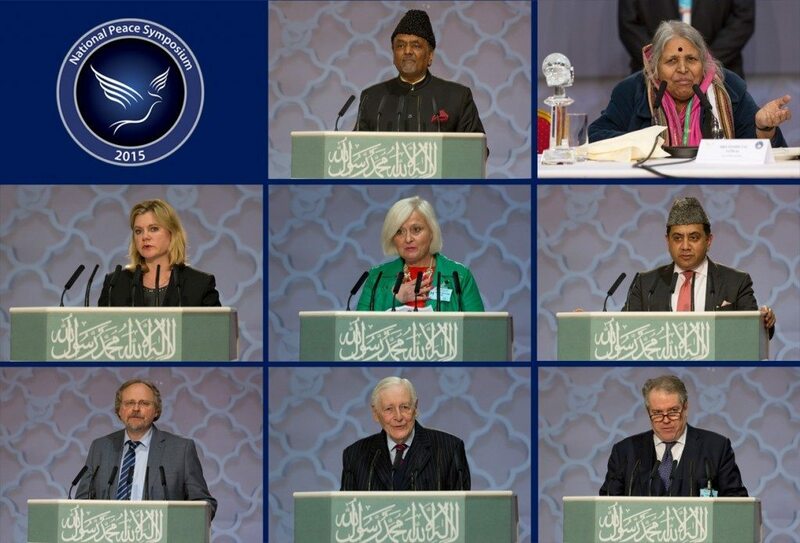 His Holiness spoke about the objectives of the Ahmadiyya Muslim Community and its commitment to spreading the true and peaceful teachings of Islam across the world. 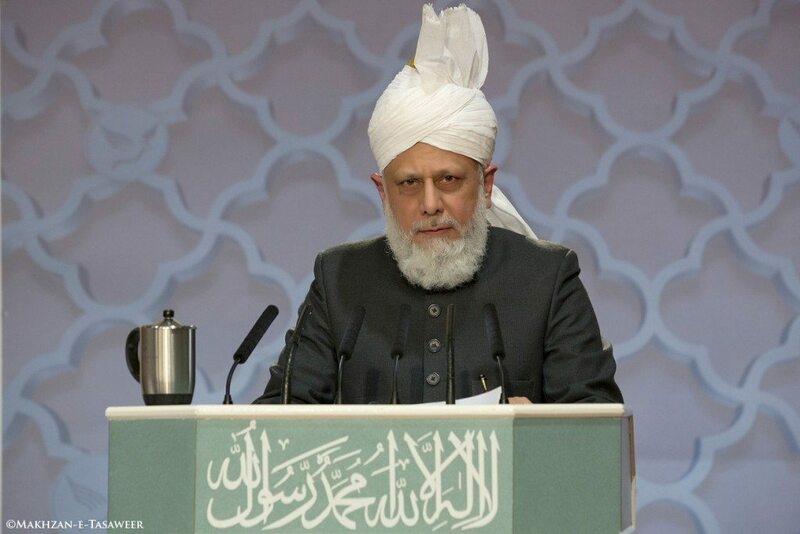 The Khalifa went on to give a detailed analysis of Quranic teachings in relation to peace and religious freedom, stating that wherever Muslims were given permission for a ‘defensive war’ it was given as a means to protect all religions and not just Islam. Reflecting on recent reports that terrorists had destroyed historical monuments and artefacts in ancient Iraqi cities, His Holiness said that such attacks were a clear violation of Quranic teachings. His Holiness concluded by urging all parties and individuals to play their roles in promoting peace in the world. He said that a Third World War could still be averted if principles of justice and honesty came to the fore at all levels of society. “the polar opposite of what religion stands for”. 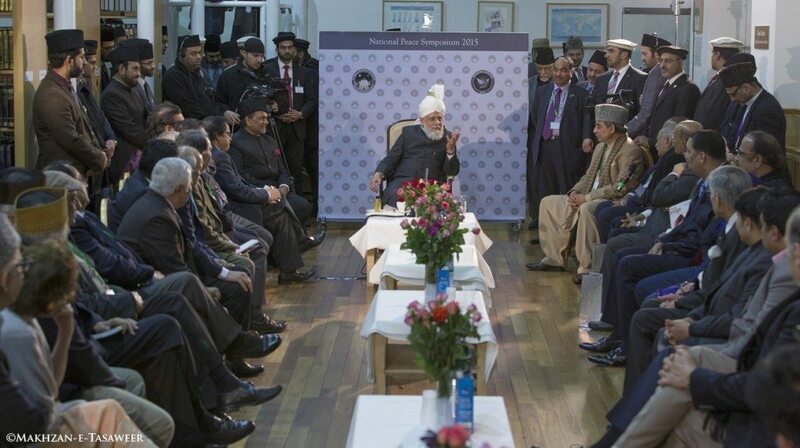 Lord Ahmad also read out a message of support sent by Prime Minister, David Cameron praising the Ahmadiyya Muslim Community’s commitment to spreading a message of peace and tolerance. The recipient of the Ahmadiyya Muslim Prize for the Advancement of Peace, Mrs Sindhutai Sapkal, spoke of how she overcame childhood poverty in India and that such experiences had motivated her future humanitarian efforts. Both before and after the proceedings, His Holiness met personally with various dignitaries and guests and also met with members of the western and Asian media.